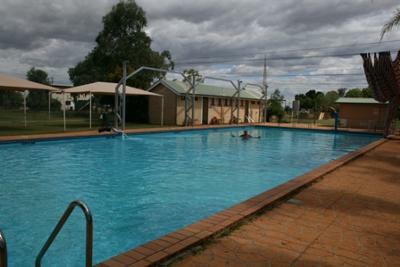 Jundah is a small inland community in south-western Queensland, with one of those council-owned camping grounds where you put money into a honesty box - $10 per night per vehicle. What is really good about this place is that there is a pool next door. You can get the keys to the pool area from the tourist information centre (deposit $10 which you get back). This is a luxury that those sort of caravan parks don't normally offer! Great on a hot day for such a small price!